So we intend to have our children memorize facts about a field that has advanced more in the last 20 years than in all of human civilization. 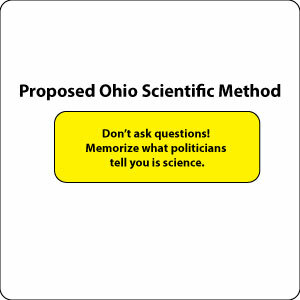 Ohio wants to teach science – a field whose process is yielding insight and innovation at an ever increasing rate – by giving politicians absolute power to provide our kids with science facts to memorize. In short, Ohio H.B. 597 as currently written will empower politicians to tell our kids what to think instead of allowing teachers to educate them in how to think. Memorization and regurgitation will trump curiosity, cognition, critical thinking, and true understanding. Science is a discipline. That discipline is based on following an established methodology to uncover truths about our universe and all that it contains. 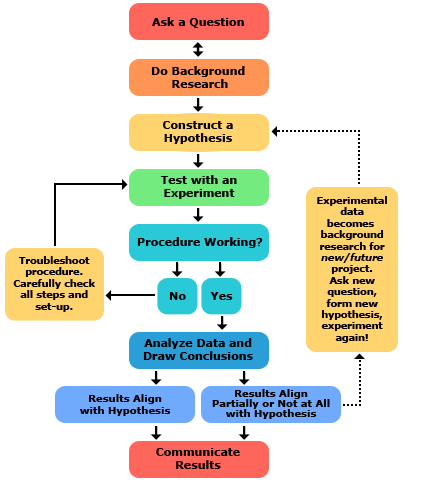 Every day the scientific method and those who apply it yield new insights and redefine our understanding of the world. Understanding science is not the same as being good at the science category in Trivial Pursuit. To truly understand science is to understand the process of science. It has never been more important that children understand science. The jobs of the future will require deep skills in science, engineering, math, and technology, along with creativity, curiosity, and communication. As adults, it is our responsibility to teach our children the process of science and the possibilities that understanding it can deliver. If you believe that understanding the process of science is important to the children of Ohio and should be a fundamental part of our system of education, I encourage you to contact your elected Ohio state senator and Ohio state representative. Tell them that not teaching the process of science is the equivalent of not teaching science at all and that this is not a viable option for the future of our children and our state.